If you are on an Indian tribal tour, you wish to explore the culture and customs of various tribes of India. But, one thing you forget about these Indian tribes is the languages spoken by them. These Indian tribal languages are a good indicator to the lifestyle and history of many of the famous tribes of India. So, here we have attempted to update you with some of the Indian tribal languages. This is the first part of a series of languages will make you aware of about many a popular tribes of India. Abujmaria- It is a language belonging to Dravidian language family and is generally spoken in the Abujmar hills in Bastar Disstrict (M.P). Hill Maria tribes of India usually speak in this language. 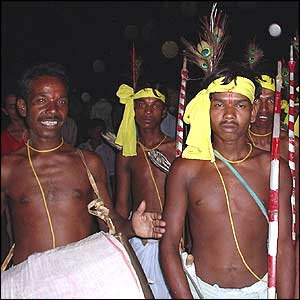 Gadaba- It is spoken in Koraput district of Orissa. Garo- This language of Indian tribes belong to Western Assam, Garo hills, Meghalya, Nagaland and Tripura. The language also has many a dialects namely Atong, Chisak, Megam and many more. Saurashtri- Also known as Patnuli, this language is spoken by many a tribes of India in Chennai, North Arcot, parts of Karnataka and Andhra Pradesh. Tsangla- It is spoken in the villages of Arunachal Pradesh.